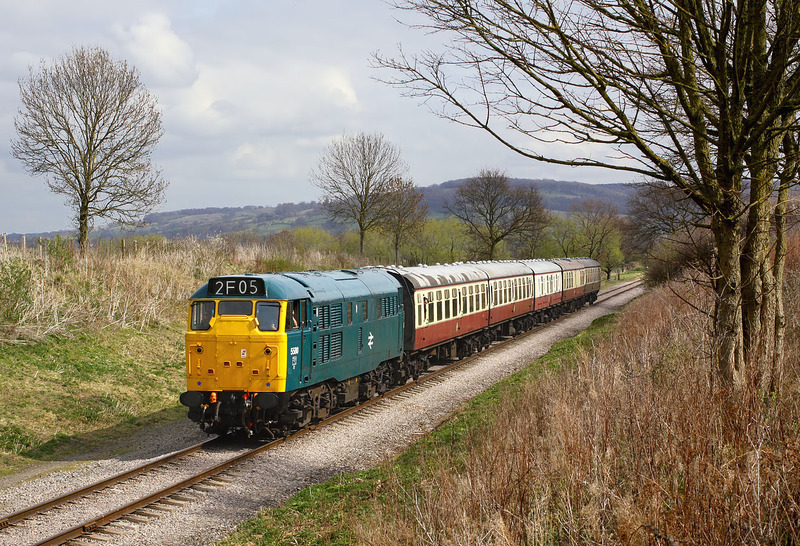 For me the highlight of the Gloucestershire Warwickshire Railway's Diesel Gala on 5 April 2009 was the use of 5580, which is on loan to the railway. As I had not previously got a picture of this loco on the line, I was annoyed when the sun had virtually disappeared by the time of its first run. Luckily however, a small patch of sun appeared just as it passed me on the approach to Greet with the 11:25 Toddington to Winchcombe service.